Ranbir Kapoor and Anushka Sharma promote their upcoming film Bombay Velvet in Gurgaon. 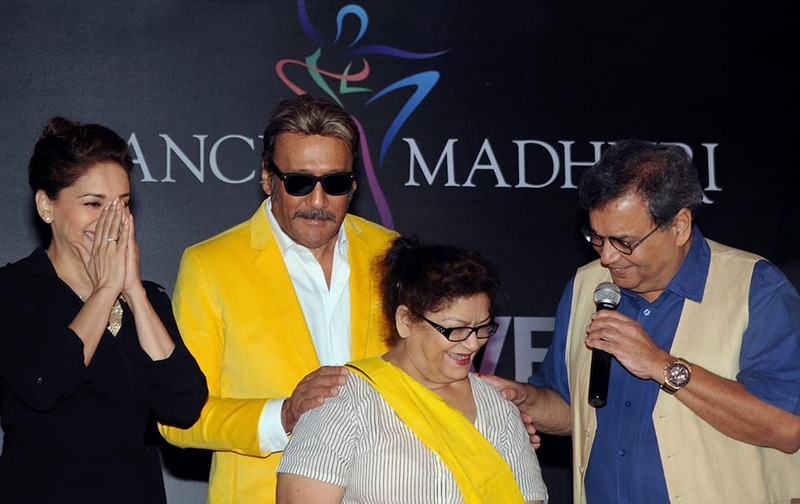 Madhuri Dixit Nene, Jackie Shroff, Choreographer Saroj Khan and film director Subhash Ghai during the launch of ‘Dance with Madhuri’ dance academy in Mumbai. Priyanka Chopra arrives at the ABC Network 2015 Programming Upfront at Avery Fisher Hall in New York. David Duchovny and actress Gillian Anderson kiss during their performance of Neil Young's "Helpless" at The Cutting Room in New York. Ty Burrell, left, and Julie Bowen arrive at the ABC Network 2015 Programming Upfront at Avery Fisher Hall in New York. 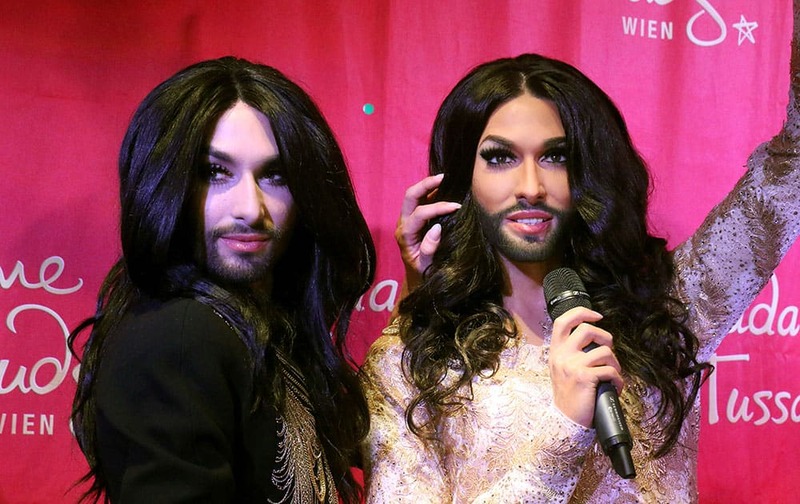 onchita Wurst, Austrian winner of the Eurovision Song Contest 2014, unveils his wax figure at Madame Tussauds in Vienna, Austria. 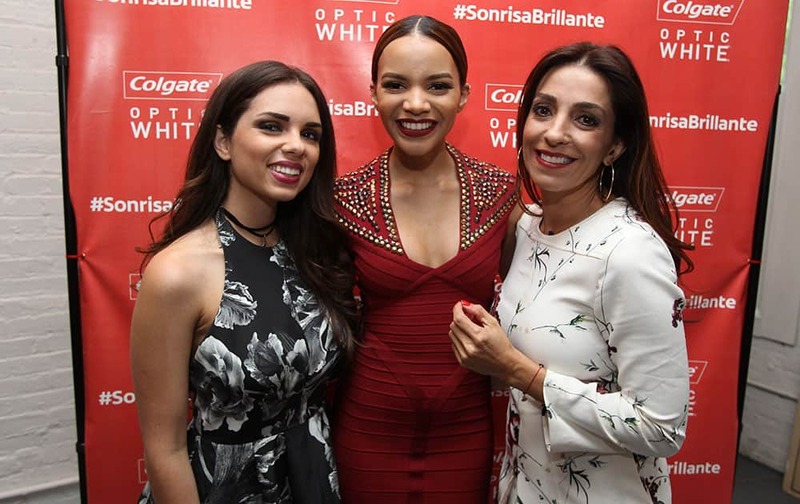 From left, Optic White Chicas Blogueras Daniela Ramirez, Artist Leslie Grace, and Optic White Chicas Blogueras Kika Rocha, seen at the Colgate Optic White Bar de Belleza at Haven's Kitchen in New York City. 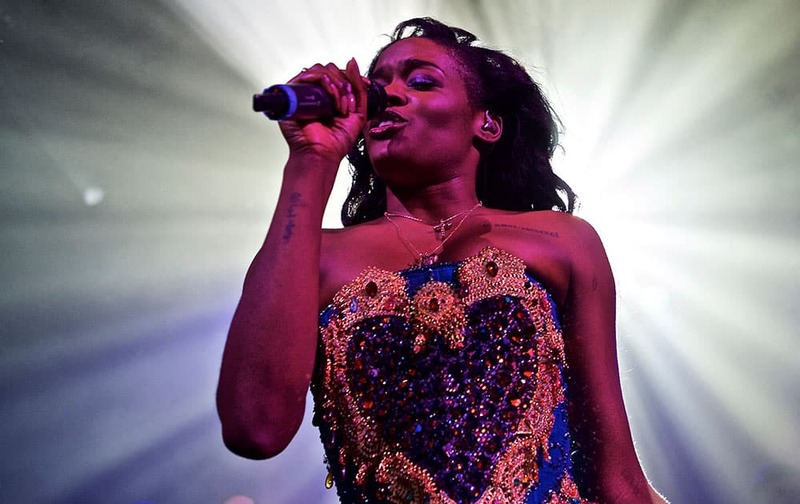 Azealia Banks performs in concert at Irving Plaza, in New York.